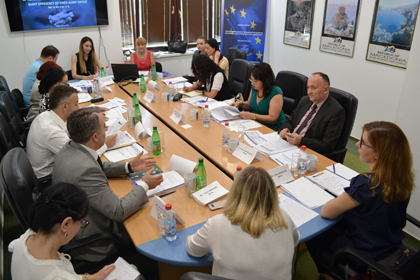 Deputy Auditor General Naser Ademi opened the Steering Committee Meeting of the Twining project "Further improvement of administrative capacities and external audit efficiency of the State Audit Office" held in Skopje. 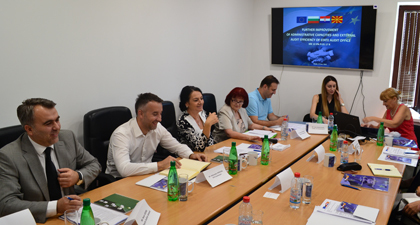 The second SC Meeting was attended by all members of the three partners - SAO, Bulgaria NAO and Croatia SAO, together with representatives of the Central Financing and Contracting Department (CFCD) of the Ministry of Finance and the Secretariat for European Affairs. - Five months after the start of the project, I can gladly say that activities are realized in line with the planned dynamics. Component 1 implemented three missions, Component 2 completed trainings on performance audit and participants were awarded certificates for successful completion of the training. Study visit to the Croatian Parliament in Zagreb was successfully realized within Component 3 and Component 4 decided on the contacts for organizing IT self-assessment (ITSA) and IT self-assessment (ITASA), pointed out Mr. Ademi. The component leaders presented in detail the activities taken, as well as planned activities for the next six months. This twinning project is realized in cooperation with Bulgaria NAO and Croatia SAO and with support from the European Union.